Russia and Ukraine ministries are in need of our prayers and support. Today it is my privilege to report on the excellent ministry times in these countries but also to report some of the changes and challenges ahead. Your continued interest, financial support, and encouragement are needed. Mark Roberts from the Northern California area served recently in Novokuznetsk in Russia and then in the Odessa Seminary. 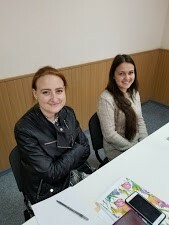 I shadowed teaching in Odessa for the first time to be better prepared to send additonal teachers. Steve Anderson from Sioux Falls arrived before I returned to teach in Odessa. In the spring Dr. John Loge and Steve Newmann will be continuing the excellent training of students in Ukraine. Your prayers are needed for the ministries of Moscow Seminary in Russia. Our partnership moves forward in a difficult region of the world. Recent reports talk of the many cases of State medling and pressure upon the evangelical schools in Russia. The challenges come as they inspect, find a minor “violation,” and then proceed to fine the schools. The likely goal is to remove any schools not under the Russian Orthodox Church. Some feel the goal is to force the closure of all these schools. Pray for the leadership of Moscow Seminary as well as St. Petersburg Christian University, recent cases have involved both schools. It is a matter of much prayer for the Russian Church leaders. 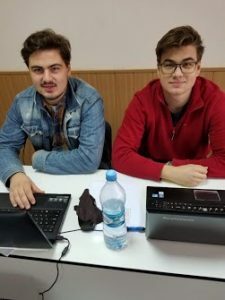 Odessa Seminary is experiencing leadership transitions. They also face many financial difficulties while at the same time are ministering to the largest number of students. It was good to meet many of you at the Triennial Conference as well as at Camrose Church and Metropolitan Church in Fargo. Eugene is the son of a local pastor and has felt God’s call to follow into ministry; a devout growing disciple. 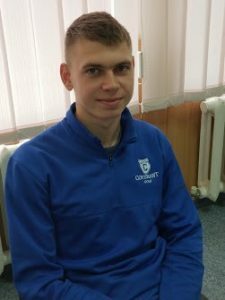 Oleg is growing deep in his faith and in sharing with his friends. He enthusiastically participated in each class activity. Tanya and Victoria are both from Odessa but quite different in their background. Tanya on the right came from a Christian family in the area. Victoria is such a refreshing young Christian who came to the end of herself and turned her life over to Jesus. She states her faith in fresh and new ways. 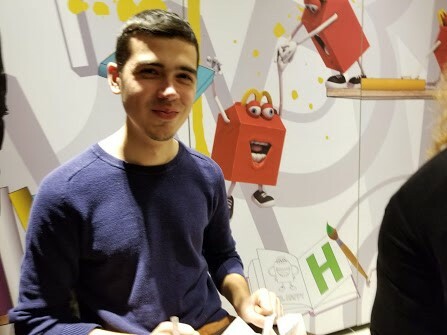 Sam and Vsevolod are brothers whose parents are missionaries with Jews for Jesus. Each experienced their faith in new ways during our class. I wanted to teach In Odessa so I could better communicate the logistics and dynamics of the school. The class on Spiritual formation was an interesting challenge for these Bachelor level students. The highlight of their week was a six-hour time of silence and solitude. Everyone did it and gained from the experiences of the course. Thanks to the school for adding our teachers to their ministry to these students.